From salty-sour kimchi to exciting tabletop barbecue, Korean food is a unique and surprising cuisine. Characterized by vegetables, rice, and meat, Korean food is one of those cuisines in which each meal often offers a great deal of variety with many side dishes. I love this type of eating—getting lots of different tastes and flavours in one meal? Yes, please! Korean is a cuisine that I have not ventured into much in my own kitchen, so I’m eager to start exploring. I’ll get my feet wet with some enticing recipes from around the internet, and then take a look at some of the best and most recommended Korean cookbooks. Feel free to skip right ahead to the cookbooks—click the links in the table below to check out latest prices and reviews on Amazon. Kimchi is probably the best known of Korean dishes, and there’s really nothing like it. It consists of various vegetables—almost always cabbage, often radish, sometimes cucumbers, or really whatever you’d like—fermented in a flavourful brine. In addition to the tangy, spicy, pungent flavour, kimchi also offers many health benefits. Red pepper flakes, fish sauce, shrimp, garlic, and ginger, among other ingredients, give kimchi its complex flavors, but really time is the most important ingredient. This is one that requires some planning ahead as it needs to sit for a while to ferment (2 weeks is optimal! but you can also eat it within about a day). 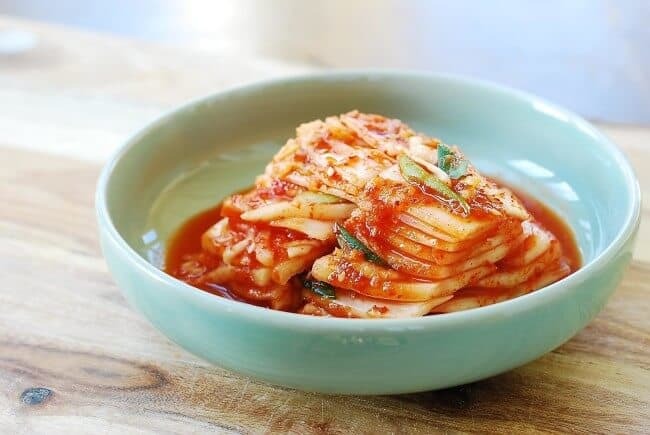 I love this traditional recipe because she also give links to other recipes that use the kimchi. My kids love fried rice, and I love making it as it’s a quick meal that is also very healthy. This well-loved Korean version features a nice variety of vegetables and a sweet chilli sauce to give it its signature flavor. This is a great recipe with step-by-step photo instructions so you get it just right. It features quick-marinated pork, but you could sub in any meat or tofu for a vegetarian version. I like the idea of a fried egg on top of the final product! My daughter has a Korean friend at school, and her mother served us Japchae when we went over to their house for a playdate recently. Wow! This noodle dish is delicious, and definitely one I’ll be making at home for my own family. The main ingredient is sweet potato starch noodles, a variety of glass noodles. Vegetables, beef, and a tangy-sweet sauce come together in this simple but flavourful dish. The leftovers taste great, too, as the sauce really sinks into the noodles! Ok, so Korean fried chicken easily beats any other fried chicken I’ve ever had for pure deliciousness. This works well for wings, too. In this recipe, the chicken is double fried so it’s extra crisp on the outside and moist on the inside. The fried chicken is then tossed in a tangy barbecue type sauce, and finally toasted sesame seeds are sprinkled on top. The result is crispy, sweet-tangy heaven. Korean barbecue often features this marinated beef to put onto the tabletop grill. But you can also use this beef to put into other dishes such as stir-fries or even soup. The defining feature of it is its marinade. This recipe gives instructions for making a bulgogi stir fry along with veggies, but if you just want the marinading instructions, this will work, too. You must marinate the thinly sliced beef for at least 4 hours, so plan ahead. Just looking at the marinade ingredients, you can see how tasty and flavourful this dish will be! Side dishes (banchan) rule in Korean food. Every meal is accompanied by a variety of side dishes. I think this simple potato side dish would be a great way to bring Korean flavour to an otherwise basic meal, such as steak or roasted chicken. In this recipe, these adorable baby potatoes are braised stovetop, and then tossed in the pan with soy sauce, rice syrup, and garlic. A sprinkle of sesame oil and seeds finishes it off. It’s a simple but classic pairing of flavors—sweet, salty, perfectly tasty! I love any cuisine’s version of pancake, especially sweet, dessert pancakes. 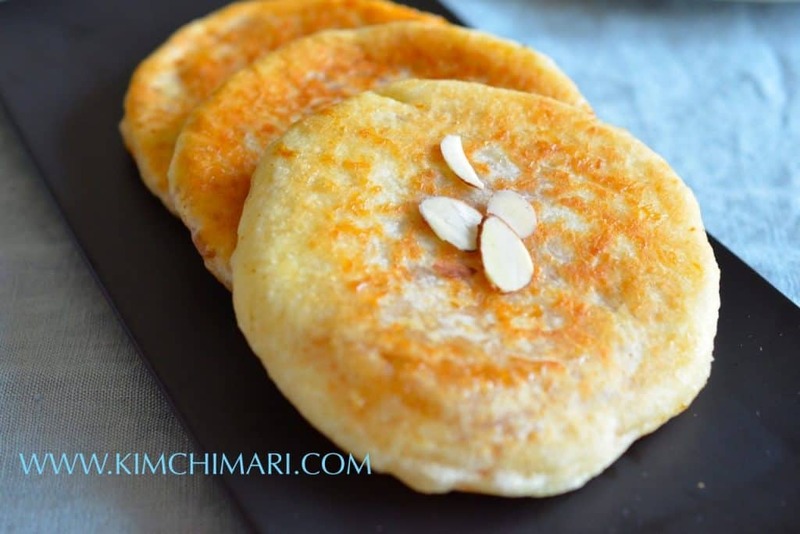 This traditional street food dish will surely satisfy that love for fried doughy goodness. This recipe includes step-by-step images to help you through the process. The dough for these pancakes includes yeast, so it does need to rise for a bit. After it rises, the magic happens—you stuff each little pancake with a sugar and nut mixture, then fry them in oil. When the pancake is done, the sugary inside has melted into a nut crunchy syrup. Oh. My. Goodness. Ok, so this isn’t so much a recipe as a how-to for having Korean barbecue at home. Cooked over a grill right on your tabletop, Korean barbecue is such a fun communal meal. If you want to do this inside, you’ll need a Korean bbq grill pan or some other way of cooking the food at your table, like a hot plate; you could also congregate around the grill outside during warmer months. 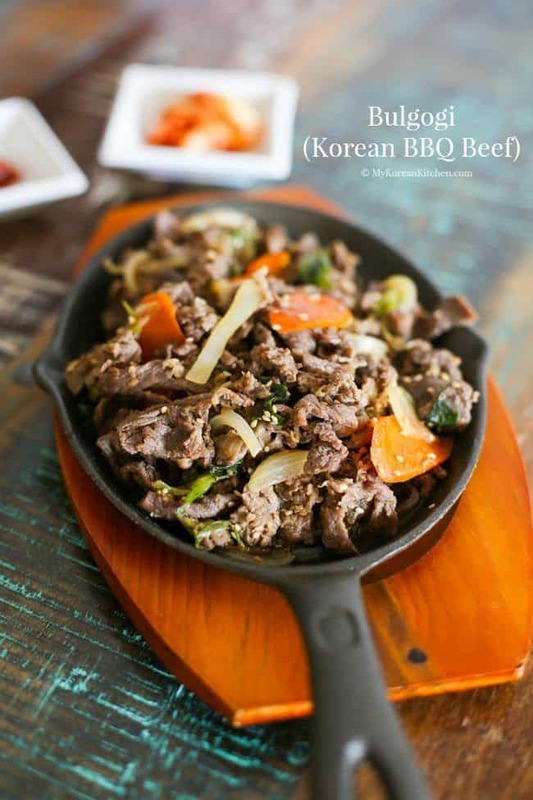 This little instructional tells you all about what your Korean barbecue at home should involve, such as the types of meat traditionally served to how to wrap up your own lettuce filled “Korean taco” with the meat you’ve grilled. It also gives some tips for dining out at Korean barbecue restaurant. Here’s a video tutorial on the subject! 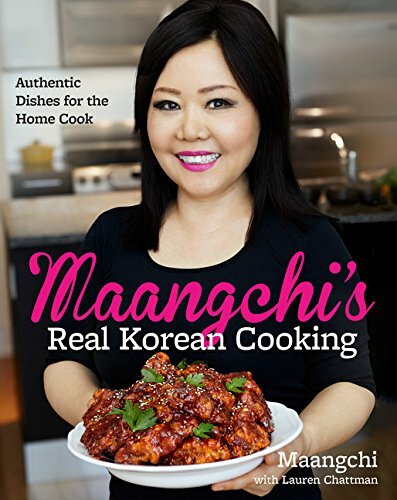 Maangchi is a Korean cooking YouTube star and blogger—I shared some of her recipes above! She has a huge following thanks to her thorough instruction and affable personality. This book brings all of that together, with step-by-step photos to be sure you are keeping pace with the recipes (and as a bonus, you can always refer to her YouTube videos for further instruction). Reviewers note that although they love the recipes, some of the page numbers are off, which can be frustrating. This book is, obviously, focussed on kimchi, both traditional and modern preparations. It offers recipes for different types of kimchi, as well as dishes to make with your kimchi, such as Kimchi Ribs. 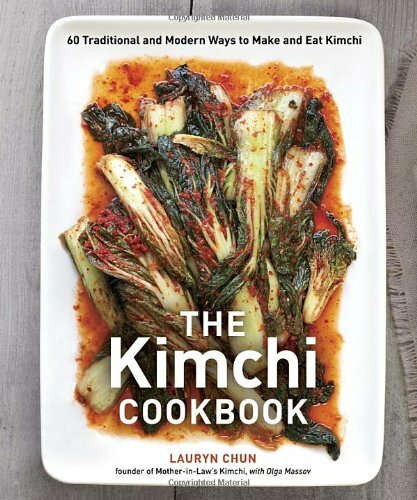 Given that kimchi is such a prominent dish in Korean cuisine, I think it would be useful to have a dedicated kimchi cookbook if you want to become a Korean home cook expert! If you are a fan of the Korean food you’ve had in the many “Koreatowns” of North America, this cookbook will help you recreate those tastes in your own kitchen while also exploring that blended culture of the urban American-Korean food scene. This book offers a wide variety of Korean dishes, somewhat simplified so that they are very accessible to the novice Korean cook. This is the Korean cookbook for you if you want a side of humour with your kimchi. The entire cookbook is illustrated with comics, as the author is not a trained chef, but a graphic novel illustrator. But it’s not just novelty—reviewers say the graphic illustrations are very helpful, and the book is full of useful background information and solid instruction to make you a proficient Korean cook. I can’t wait to start cooking Korean food for my family. In addition to enlisting some help from my friend, I’m looking to invest in a great Korean cookbook. 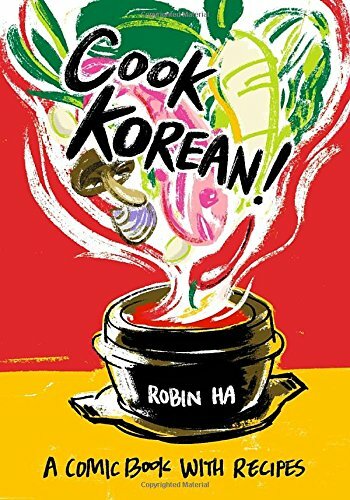 Given that many people report reading Cook Korean from cover to cover, savouring each quirky comic and story, this seems like a very special cookbook with recipes that turn out well, too. 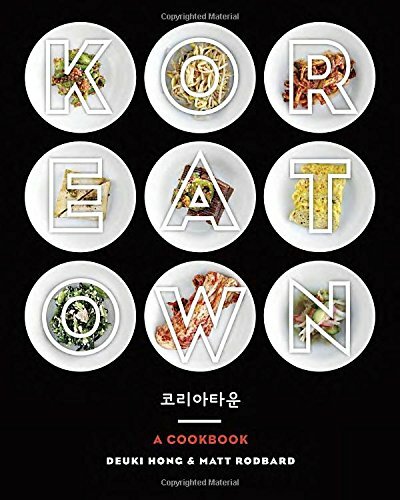 If your interest in cooking Korean at home comes from your love of eating at Korean restaurants, Koreatown: A Cookbook will bring those flavours into your kitchen, as well as give you that vibrant feel of American Koreatown culture. Are you already cooking Korean in your home? What are you favorite dishes? Let us know in the comments! Serve Your Risotto With These fabulous Sides! What Goes Best With Cabbage Rolls? Here They Are!